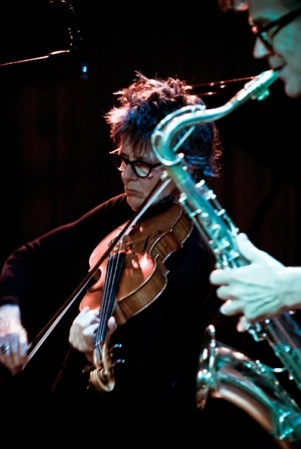 Ab Baars and Ig Henneman have participated in international festivals and played venues as a duo and with their own groups. The duo toured in The Netherlands, Germany, Italy, UK, Japan, Norway, Czech Republic, Canada, Brasil and Romania. 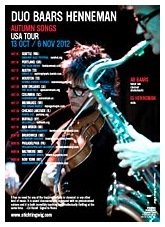 Ab Baars leads his own groups; the Ab Baars Trio and Quartet. For years now he is a member of the ICP Orchestra of Misha Mengelberg and Han Bennink. 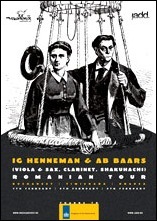 Ig Henneman is a violaplayer and a composer. She leads her own groups in which she works with musicians from various areas of music, like radical free improvisation, jazz, contemporary music and punk. She is a member of the Canadian/Dutch Queen Mab Trio.